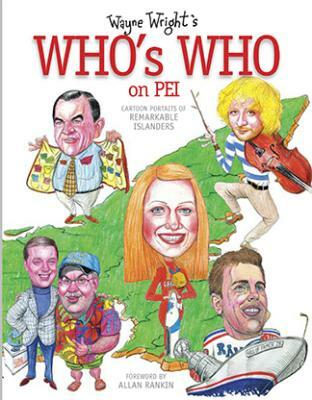 Wayne Wright figures he's drawn the faces of ten thousand Islanders over the years. Most of them appear on the editorial page of Summerside's Journal Pioneer - he's been drawing that newpaper's daily cartoon since 1979. Other faces show up on posters promoting celebrity roast fundraisers, and as portraits marking special occasions in our Island lives. Islanders have faces - politicians sometimes own two. In an Islander's face one can read the story of that man or woman's life, dreams and heartbreaks." This is not your usual Who's Who of the rich and famous. There are a few politicians and premiers, business leaders and sport heroes, but Wayne's favourite faces belong to salt-of-the-earth Islanders "who live by the side of the road and are a friend to man."